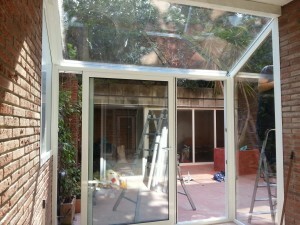 Aluminum and glass enclosure installed in the neighborhood of Putxet in Barcelona. 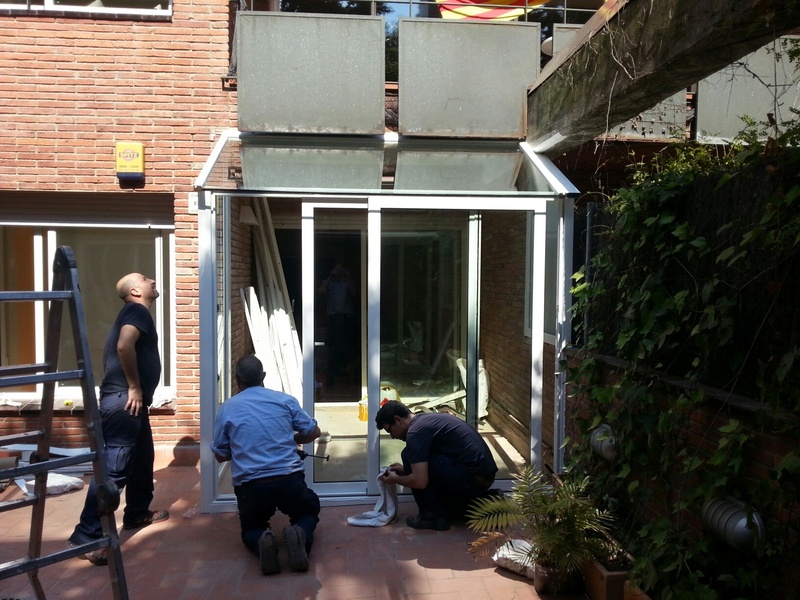 In this work it was to win sqm per room of this house, this will set up a structure formed by SUN GUARDIAN camera glass and aluminum PROFILES white LAQUARED STILO 50 and S-76 series, consisting of two fixed side, one front 2 sliding leaves and a glass roof formed low emission security. 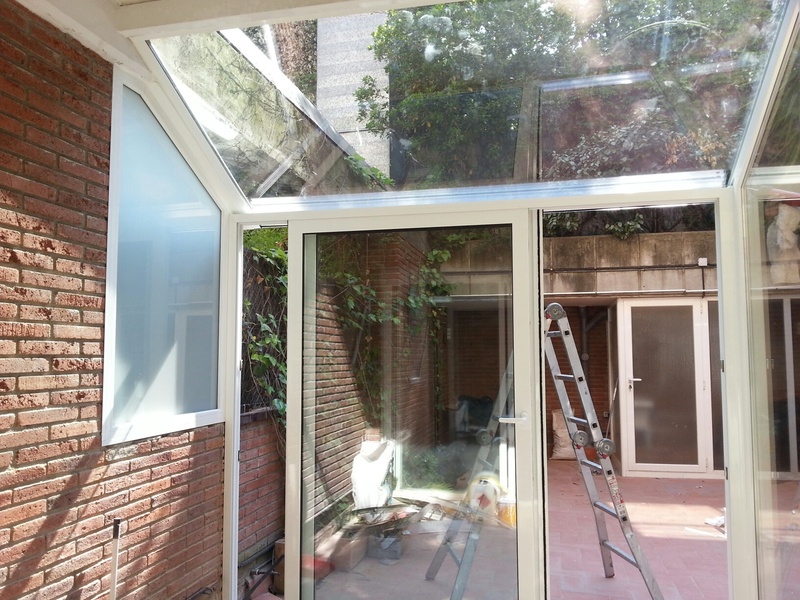 The client said he wanted to reduce the heat in summer due to the entrance of the afternoon sun, with this type of glass is considerably reduced the incidence of the sun while letting through clarity. 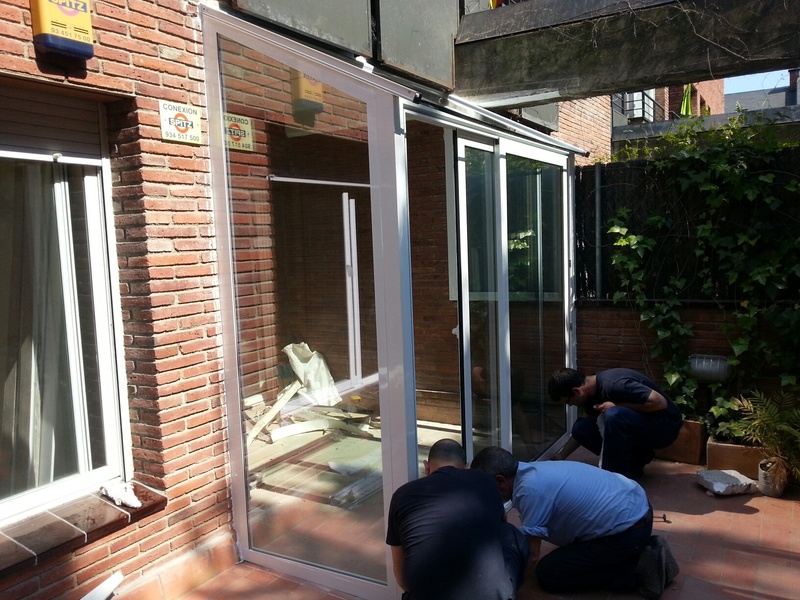 As we can see in the picture the sliding door has a lock which gives security multipoint apart from having a great capacity to accommodate any type of glass. The cover glass was one piece of about 100 kg with 8mm glass on the outside and laminated 3 +3 GLASS inside to provide security to it. 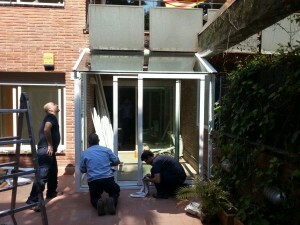 To compose their enclosure as including BLINDS, SHADES, CEILING or BARS to your liking. 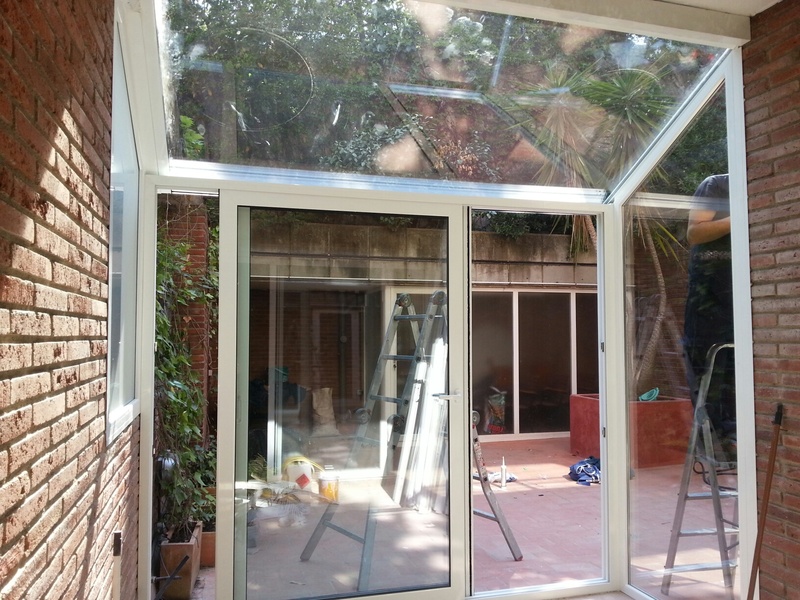 This job was installed by four workers in a morning’s work, for any further information please CONTACT US will respond without compromise.